Despite it holding the Guinness' Book World Record for Most Games in an Action/Adventure Series, I have only played the first game on the 8-bit Nintendo Entertainment System and this one. At the prolonged insistence of a respected friend whose taste often mirrors my own, I decided to give Lords of Shadow a try. This actually turned out to my advantage as my research into the game claimed it had little to do with the franchise. 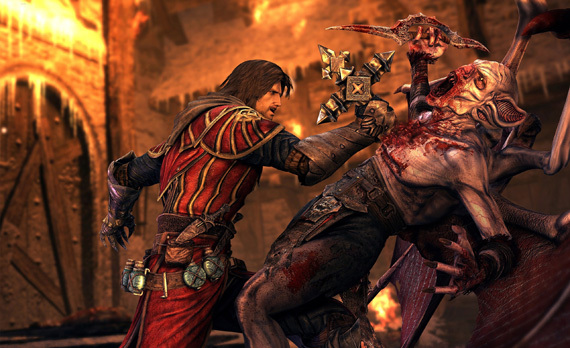 It was marketed as a "reboot" but beyond having vampires and the undead, Castlevania fans may not have recognized the game as a part of their beloved universe. From the Tokyo Game Show promotion. I just couldn't help myself. This was instantly recognizable as a Japanese action/adventure game. In my opinion, it had more in common with Devil May Cry and the Ninja Gaiden games than the Castlevania I remember from my formative years. The gameplay and leveling systems could have been taken directly from either of those two franchises and no one would be able to tell the difference. However, that's not necessarily a bad thing. I've thoroughly enjoyed both series and the comparison should be taken as a compliment rather than a complaint. Between my friend's recommendation and the 83 on Metacritic, I was sold. I dove into this game with reckless abandon. You play as Gabriel Belmont, likely a distant relative of Simon and one of the few connections to the rest of the franchise. Your beloved, Marie, has been killed in the preceding few days. As a member of the Brotherhood of Light, Belmont is sent to the Lake of Oblivion both on a quest of revenge and in order to stop the Dark Lords and re-unite Heaven and Earth once again. It's an awfully big task, but I'm sure you're up to it. 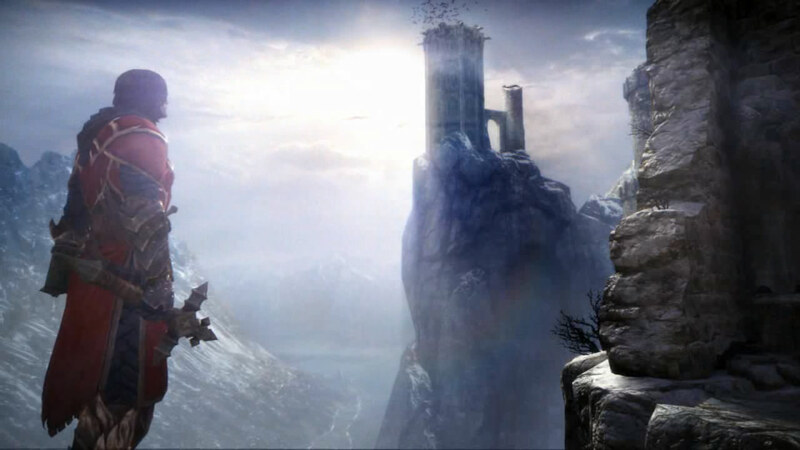 As evidenced above, Castlevania: Lords of Shadow is a truly gorgeous game. It contains some of the most truly breathtaking scenery I've seen in recent games. The only thing I can think to compare it to is Bioshock Infinite when talking about jaw-dropping design. Some of the cinematics make Assassin's Creed look like a PS2 game from a generation ago. They're simply that amazing. Unfortunately, some of the combat is also a good comparison with the Assassin's Creed series; fun at first, but gradually it becomes less and less enthralling. That said, the leveling system with your Cross and Whip/Chain help to keep the game from slipping into a simplistic exercise in button-mashing. The game has, of course, vampires, werewolves, and zombies. However, it also contains more Tolkien-esque characters like trolls and goblins. These little beasties make up the majority of the smaller enemies that try, mostly unsuccessfully, to end your noble quest. There are also much bigger enemies of the boss variety. You have to use your whip to climb these things like Mount Kilimanjaro, destroying their power crystals along the way. 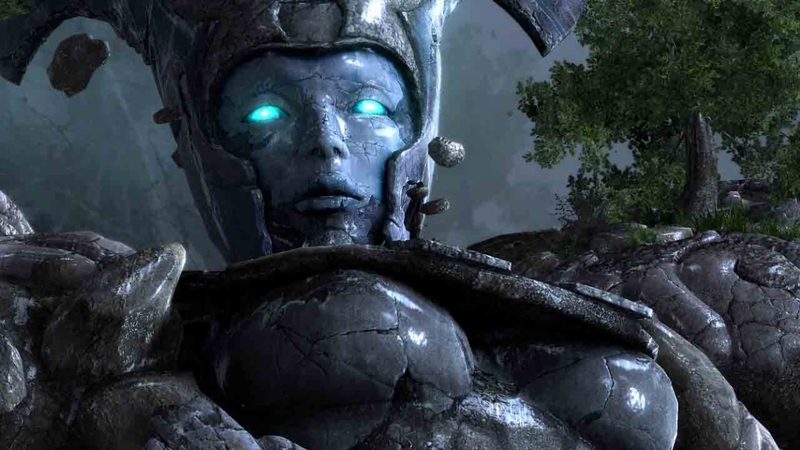 These bosses are called Titans and remind me much more of Devil May Cry than Castlevania. They fit squarely into the Japanese Action/Adventure category. That doesn't make them any less fun. In fact, it flows with the idea the designers were going for with a "reboot" of this classic franchise. It takes some of the more successful ideas from competing series and squeezed every drop of goodness out of them. tell me truthfully, should I buy it? It seems counter-intuitive, but if you're a fan of the Castlevania series, you might want to skip this one. The "reboot" has taken away lots of what made the series, from what I've read. What is a vampire hunter doing fighting a huge, concrete Titan that looks straight out of ancient Rome? However, if you're more of a casual gamer like myself when it comes to Casltevania, pick this one up. It's no timeless classic, but it's a really well put together game. You won't be disappointed. Penalties: -1 for swaying too far away from the "vampire killer" motif. I can understand how a game with so many versions would want to get away from the formula a little bit, but this is somewhat ridiculous. Bonuses: +1 for beautiful vistas, gorgeous levels, and breathtaking panoramas.